What Is the Great American Smokeout? | The Benefits Store, Inc. The Great American Smokeout began in the 1970s – The event has been going on for almost five decades and started out back when smoking was incredibly common and not everybody was aware of the health risks of smoking. The idea originated in 1970 when people were asked to quit smoking on a specific day and to donate the money that they would have used on cigarettes on a high school scholarship fund in Massachusetts instead. 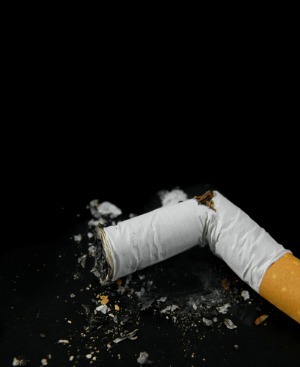 The event has helped promote anti-smoking laws – The event’s success in promoting the dangers of smoking as well as promoting quitting smoking has led to numerous landmarks in the areas of environment, research and policy in regards to smoking. Over the course of the almost five decades that the event has gone on, workplace smoking restrictions were passed, smoking bans on buses and flights were passed, tobacco companies were sued over false advertising and the Family Smoking Prevention and Tobacco Control Act was signed into law. The Great American Smokeout is still needed – Even though the dangers of smoking are widely known, one out of five American adults still smoke cigarettes. Not to mention that 32 percent of all cancer deaths are caused by smoking. The Great American Smokeout can be just what a smoker needs to finally give up smoking. Giving up smoking for a day can be beneficial – Even smokers who stop smoking just for the Great American Smokeout will experience a drop in heart rate, blood pressure and carbon monoxide levels in their blood. To keep up with all the latest health-related news, visit us at The Benefits Store today.